battery indicator, and auto power off with disable feature. higher the number, the better the protection. 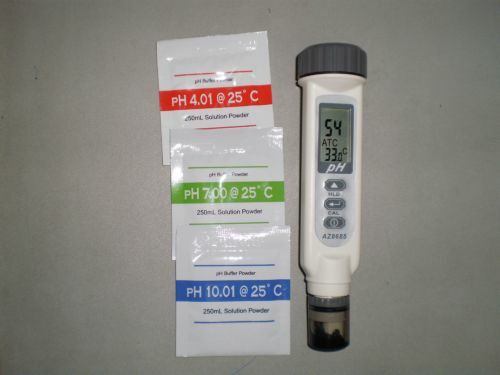 Have the PH Meter with more value for your money! Features: This device is very effective, reliable, easy and safe to use. WATERPROOF HOUSING MEETS IP65 RATING ! Dip the electrode into the test solution. Press power button and stir it to get a stable reading. The small dot (.) in between the PH reading will flash on and off when measuring starts. 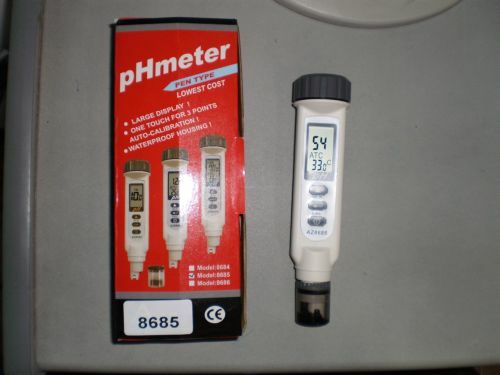 The meter will display both pH and temperature (°C or °F). Press hold button to freeze current reading. "Hold" text will be displayed and the small dot stop flashing. Press "HLD" button again to released the hold mode. Press the power button to turn off the meter. Clean the electrode and put back the cover. of a button, no need to calibrate with screw driver ! automatic buffer recognition to avoid error(s). Dip the electrode into pH7.0 buffer solution first. Just press calibration ("CAL") button to start the automatic calibration. An "En" text will be seen on the screen if the probe is damage or if the meter is in wrong calibration solution. Simply press the hold button to adjust the value if buffer solution is not 4, 7, or 10 such as pH3.5, 4.50, etc. 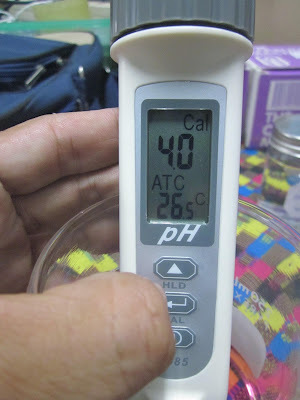 Do step 1-3 to calibrate with pH4.0 & pH10.0 and the easy calibration is complete. 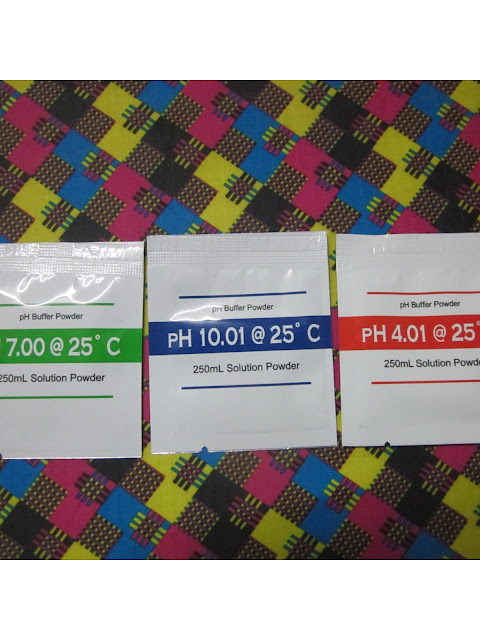 Click here to see the How to Prepare pH4, pH7 & pH10 Buffer Powder Solutions video & Instructions for pH Calibration video. Turn the meter off first. Press hold "HLD" button to choose between °C and °F. Press calibration "CAL" button to save the temperature unit. An "SA" will be seen on screen.